Retail Resource just introduced an exclusive Urban Construction collection. What is OSB? 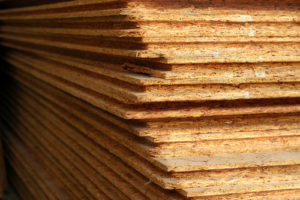 OSB is an abbreviation for oriented strand board, which is a type of engineered lumber formed by adding adhesives to wood scraps and then compressing layers of wood strands in specific orientation. This material features a rough and raw aesthetic that will provide a visually appealing backdrop to various types of merchandise. Why is OSB a popular material to use now? The rise of the cost and demand of lumber and plywood has manufacturers turning to OSB as an affordable alternative. OSB is also known for it’s strength making it convenient to use in an assortment of applications. A few other positive factors include, ease of use and it is sustainably produced. The boards are sanded down and smoothed while still maintaining a textured look. 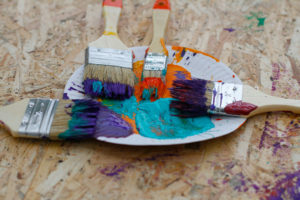 You can add primer and then paint or stain the boards as desired. The fixtures in Retail Resource’s Urban Construction collection feature a clear lacquer to seal the wood and prevent chipping. How will OSB benefit the design of my space? The unconventional pattern in the board adds interest and contrast to blank walls and plain floors. Chrome or black metal accessories coordinate well with OSB and will help to further enhance the look. 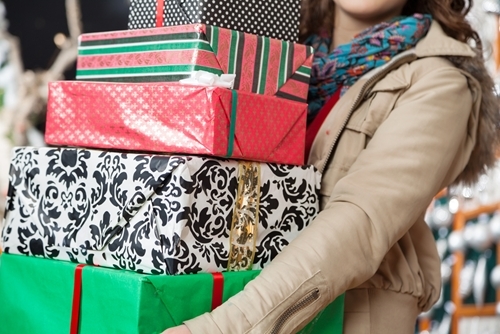 The simplicity of the material provides a humbling feel while allowing the merchandise to remain the focus in stores. 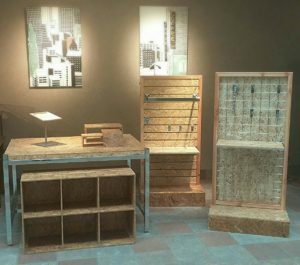 OSB fixtures and displays will compliment the atmosphere in a variety of retail spaces such as; pet stores, skate shops, sporting good stores, art and craft supply shops, florists, comic book stores ,clothing and shoe stores.